To kill or to capture, that is the question. The director of the National Counterterrorism Center made it clear Wednesday where he stands in the debate over whether it is better to capture suspected terrorists or kill them outright. Matthew Olsen prefers capture. Olsen made his comments during a discussion on the evolving threat of al Qaeda at an American Bar Association event. Asked if he prefers gaining important intelligence through interrogation over killing terrorists, Olsen responded, "I have a strong preference for gaining intelligence," a comment that brought laughter from the audience. 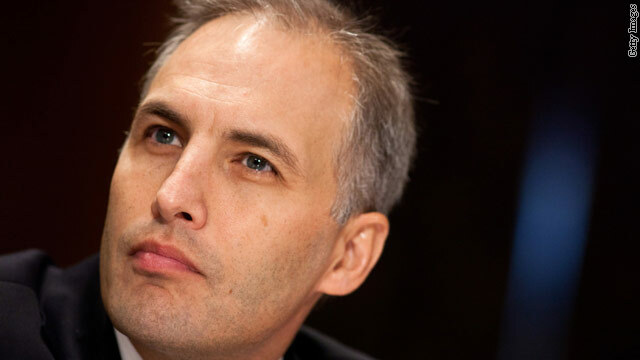 As the NCTC director, his job is to make sure his analysts have access to as much terrorism-related information as possible so they can connect the dots and help thwart potential plots. The center was created in the wake of the 9/11 attacks, when the intelligence community was criticized for not working together to merge available information that might have prevented the worst attack on the U.S. soil. Olsen said the goal of terrorist interrogations "is to get intelligence in order to understand what's happening, what the terrorists plans are in order to stop them." The Obama administration has dramatically increased the targeted killing of suspected terrorists by using CIA-operated unmanned drones to fire missiles at them in the tribal regions of Pakistan and in Yemen, where what the U.S. considers al Qaeda's most dangerous affiliate operates. But Olsen would not get drawn into a debate about the drone program. "The important thing is that when we have the opportunity to detain and interrogate somebody, we take advantage of that. I think that has been what we've done," he said. Capture versus killing was an issue last year during intense discussions at the White House, when President Obama was deciding whether to authorize a raid into the Pakistan compound where Osama bin Laden was believed to be living. Some of the president's key advisers, including Vice President Joe Biden and then Defense Secretary Robert Gates, favored a missile strike on the compound over a risky raid by Navy special unit. In an interview Wednesday on "CBS This Morning," Gates explained he was concerned about how the Pakistanis would react if the United States went into the compound and bin Laden wasn't there. "My view was, let's kill him, but let's use a missile of some kind," Gates said. "The objection to that was, 'Well, we couldn't collect any information to exploit.'" Gates said a missile strike was "probably the least risky way" to take bin Laden out. Gates said Obama's decision to authorize a raid instead was a "very courageous call." Did any of the astute American Bar Association libs inquire WHERE such interrogation would occur? At a black site? Guantanamo? Oh, that's right. They closed those down. Over ten years after 9/11 and there is no long term detention plan. That is a complete Obama failure. Ali Musa Daqduq was a hezbollah operative who infiltrated Iraq and killed five American soldiers. He was in US custody until Obama failed to negotiate terms for a continued US presence, compelling our departure last December. What did Obama do? Turned him over to the Iraqis. What did they do? At this moment, today, the Iraqis are releasing Daqduq. How's that for a commander-in-chief? A murderer kills five, he's apprehended, and the CinC of the five obtains justice by... releasing their killer. Matt Olsen is a useless political hack of a completely inept administration.